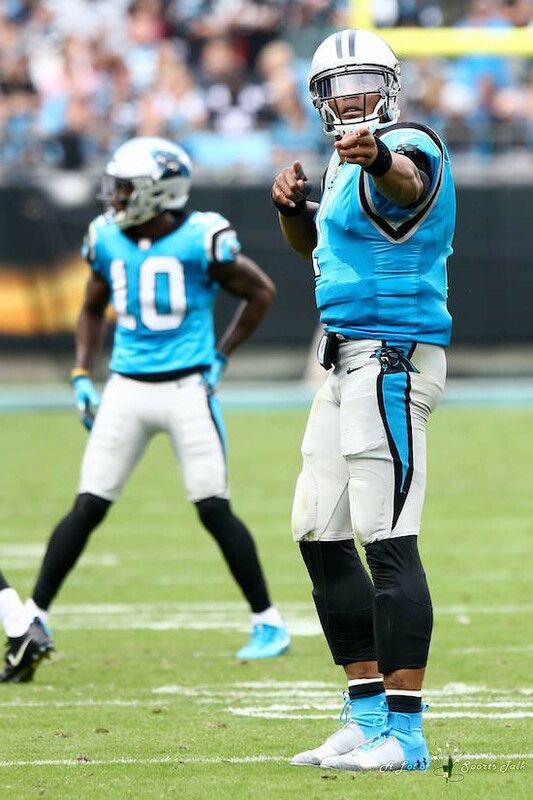 CHARLOTTE — During the week leading up to one of the biggest games to their season to date, and on the eve of the trade deadline, the Carolina Panthers front office made a loud statement, acquiring two draft picks plus securing salary cap relief from the Buffalo Bills, all in the hope of solidifying the future success of the squad being led by quarterback Cam Newton. That same transaction also happened to send Newton’s best friend, leading receiver Kelvin Benjamin, out of Charlotte. 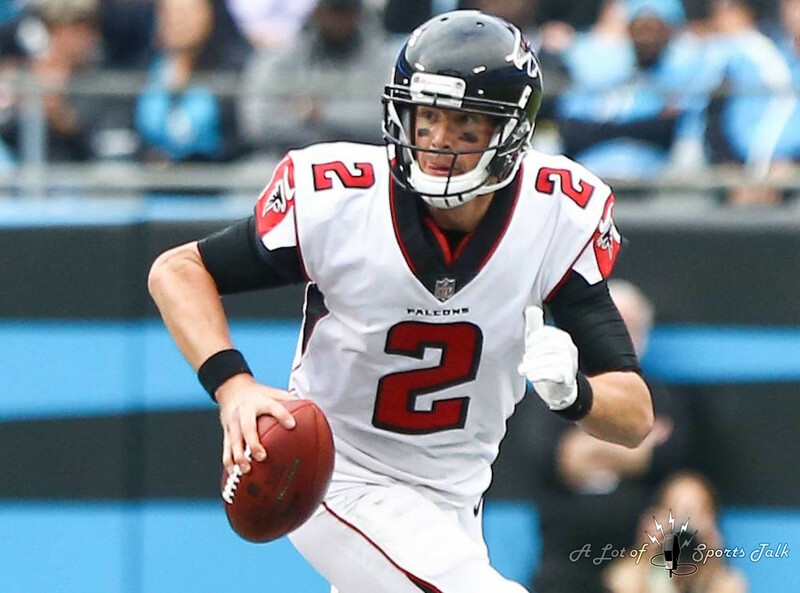 Whatever disappointment and hurt he might have felt after that move, which must have been present at some point while preparing for today’s game against NFC South rival Atlanta, was replaced by a extra amount of emotion and demonstrativeness on the field against the Falcons. 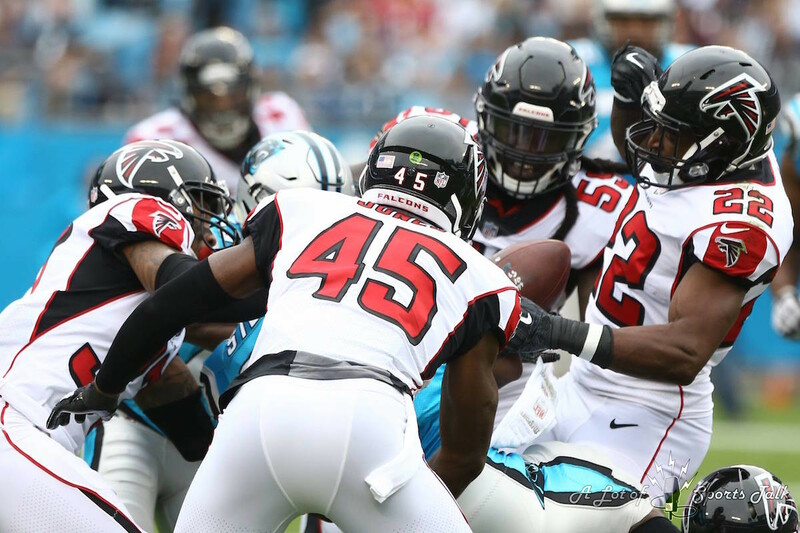 Newton did more than enough to lead the Panthers to a 20-17 victory over the Falcons on Sunday afternoon, but every big play that Newton provided – which mostly came on the ground – was followed by emphatic first-down signals, jubilant jumps in the air and positively-reinforcing self conversations. 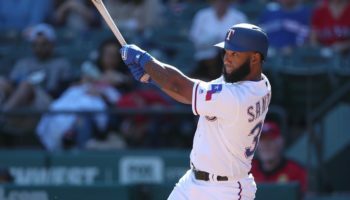 Though we have seen all of that many times before from the 2015 Most Valuable Player, all of it seemed to carry a little bit more after management decided the future of the team was not going to involve one of his main targets – as well as a good friend. It was also clear what Carolina’s management was trying to do this week. Marty Hurney, the current interim general manager and former full-time GM who was rehired this past summer after the Panthers parted ways with Dave Gettleman, wanted his offense to feature more explosiveness. 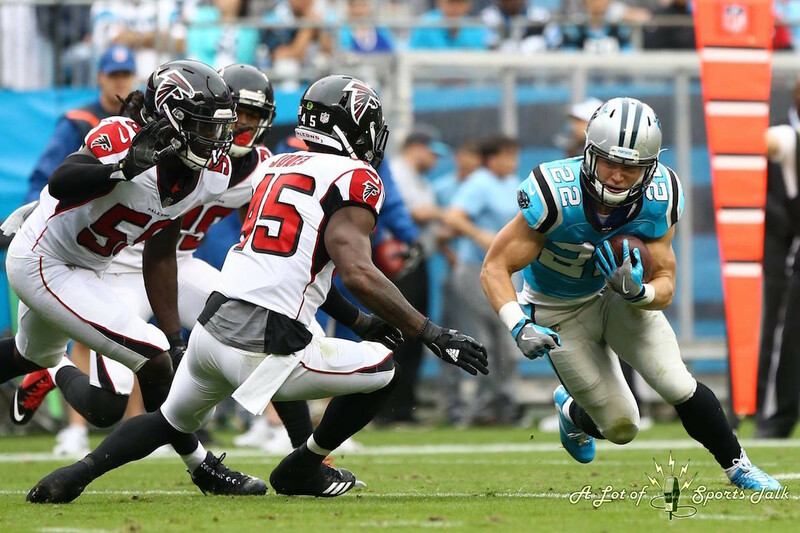 Running back Christian McCaffrey, the team’s 2017 first-round draft pick, was featured more in the offense than at any point this season. 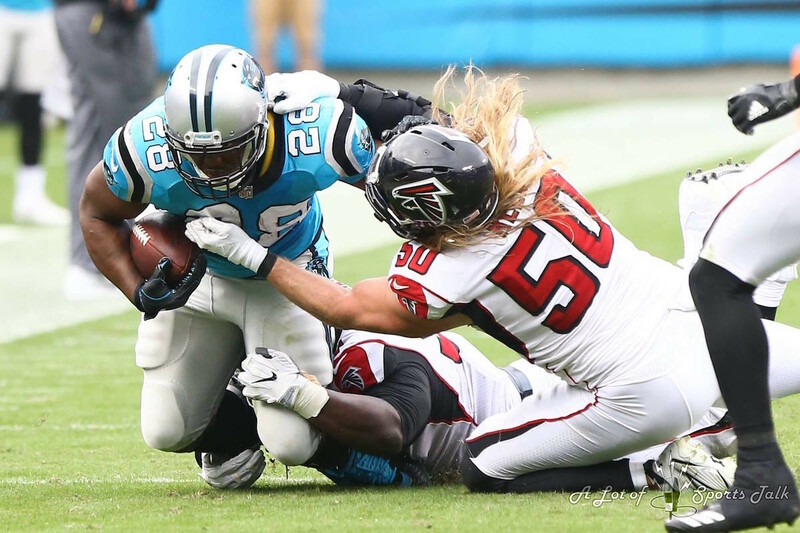 The departure of Benjamin, the 2014 Carolina first-round pick (made by Gettleman), opened the door for Curtis Samuel, the second-year speedster out of Ohio State, to see more action on the opposite side of Devin Funchess, who now ascends to the No. 1 wide receiver role. 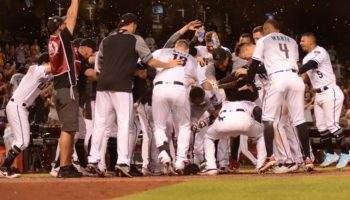 Overall, the immediate return was a success, and not just because a win was earned. 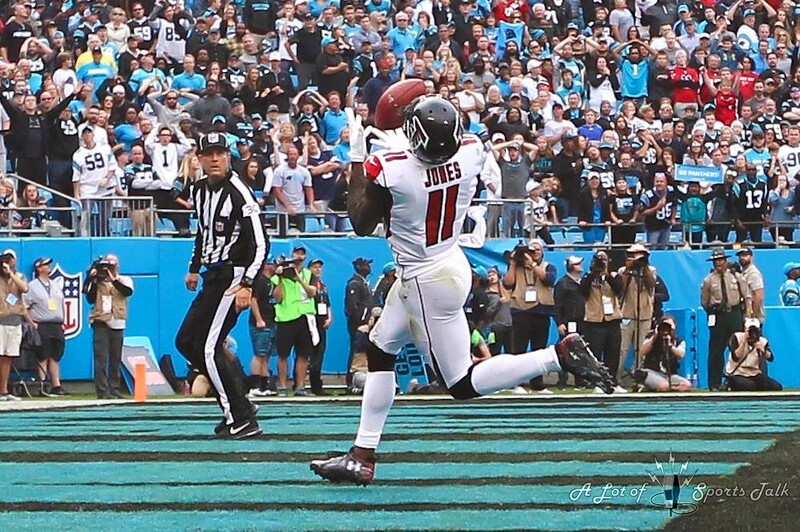 Funchess caught five passes for 86 yards, including catches that gained 24 and 33 yards. McCaffrey, who saw more time in the backfield after starting running back Jonathan Stewart lost two fumbles in the first quarter, again displayed his versatility, rushing for 66 yards on 15 carries while tying Funchess for the team led in receptions. 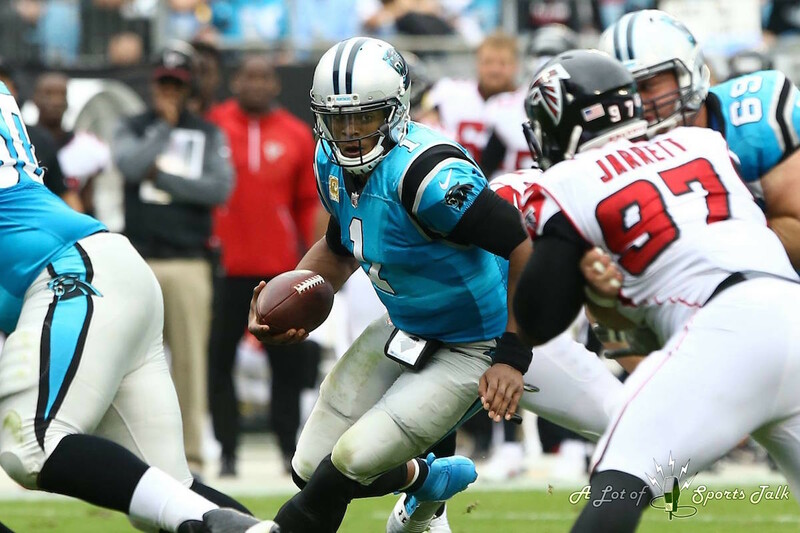 Newton, of course, is the straw that stirs the drink, and the stirring from the Panthers fans at Bank of America Stadium was constant with every designed run and scramble out of the pocket. 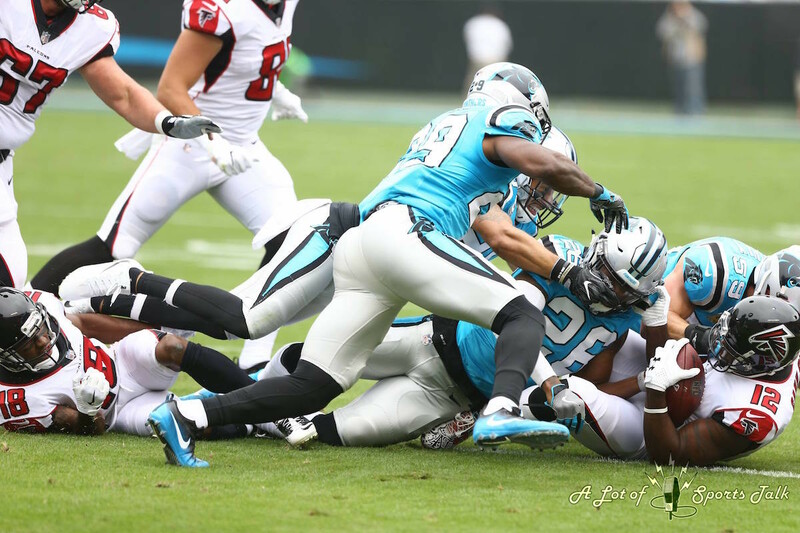 He led the Panthers in rushing for the fourth straight game, amassing 86 yards on just nine carries. 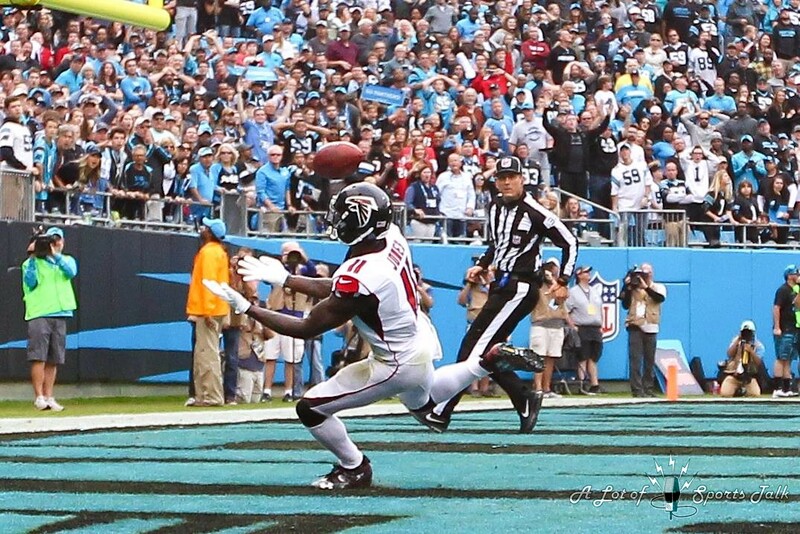 Two jaunts stood out in particular; One was a nine-yard touchdown run on a scramble to his right late in the second quarter to give the Panthers a 14-10 lead, a run in which he bravely – and dangerously – reached out his right arm towards the path of oncoming defender Desmond Trufant at the goal line, breaking the plane with the football just before the ball was jarred loose and bounced into the end zone. 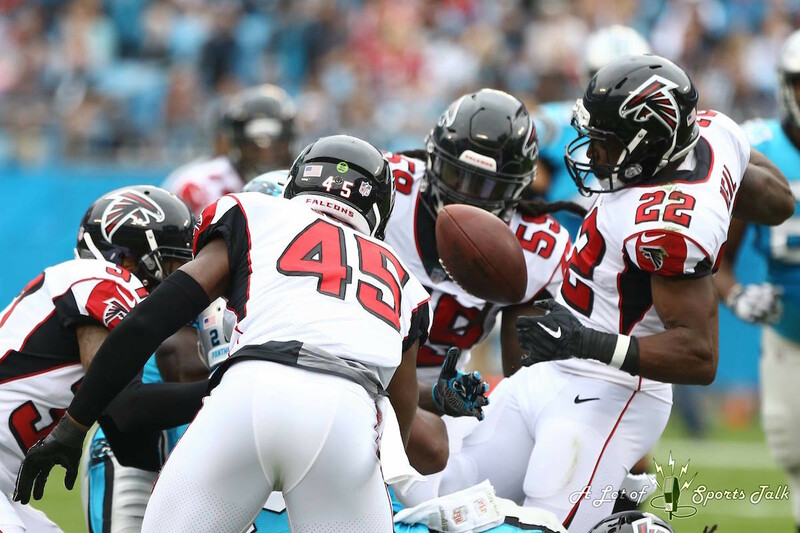 The second came late in the third quarter, with Carolina holding a 17-10 lead and facing a fourth-and-1 from the Atlanta 30. 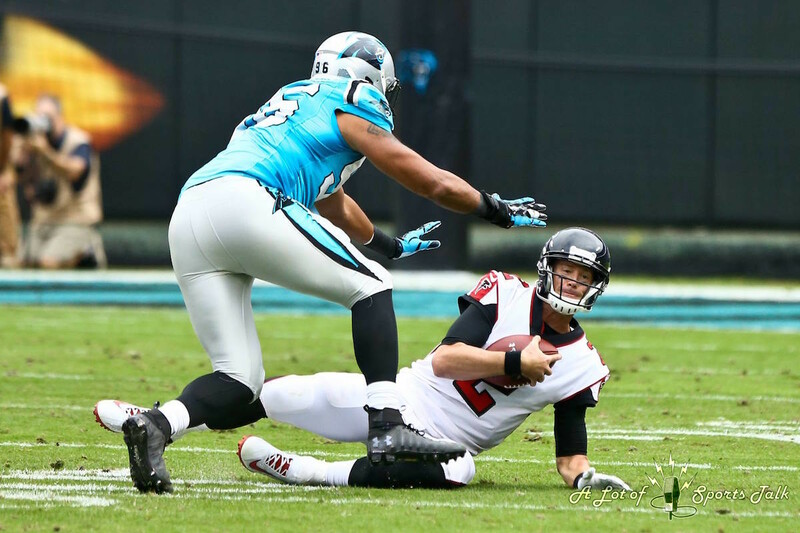 Head coach Ron Rivera initially called for the field goal unit to come onto the field, which was met by a hopping mad demonstration by Newton on the field. 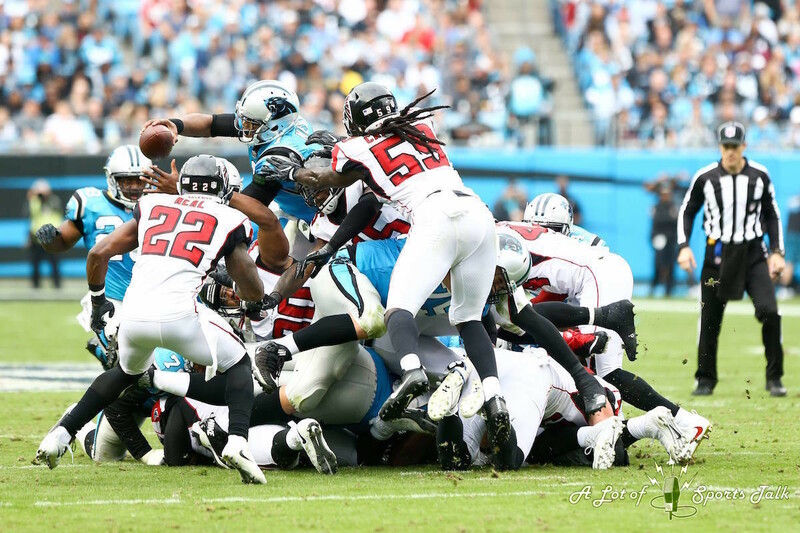 Rivera, after he challenged the previous play (a challenge he lost), decided to keep the offense out, and Newton rewarded Rivera’s trust by jumping over the pile to reach for the first down. Though the drive just ended with three points, that field goal ended up proving to be the game-winning score, giving Carolina a 20-10 lead. Newton knows that, no matter which cast members are around, his job remains the same and his focus has to continue to be on what is ahead. He mentioned as much when conveying that to the media after the game. Well, he gave it his best attempt in explaining that notion at least. 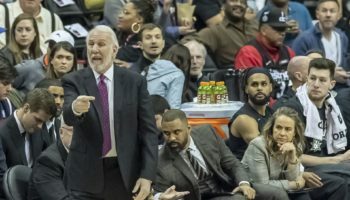 Historical inaccuracy aside, we understood the sentiment, and it was clear: “the show must go on,” which also happens to be one of the tried-and-true aphorisms in business. 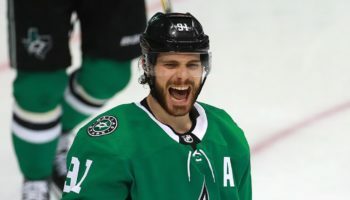 The more businesslike in his approach, the more pleasure he and the Panthers are bound to have in the race for a division title. 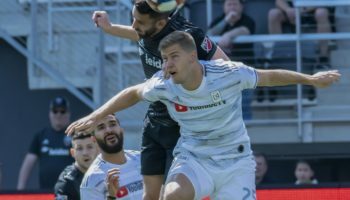 *Editor’s note: Above the byline is the photo gallery from Sunday’s game, with all photos taken by photographer Debby Wong. After clicking on the first photo to enlarge the picture, make sure to press the left and right arrow buttons to scroll through the rest of the pictures. There are 12 pictures in total.